Learn The Art Of Makeup With The Best In The Industry! Our MD is is Our Creative director – Yasmin Hussain, originally from the UK. The Lipstick Make Up Institute was created to represent the connection between Media and Make Up in a stylish, fashionable and unique way. Our students have an amazing advantage of receiving a foundation to build careers as creative and unique make up artists. The Lipstick Make Up Institute provides and presents a unique and different way of teaching. Why different? The course plan itself is a summary of 25 years of experience a mixture of different techniques that have been tried, corrected and redefined. We not only want to show to our students the different and most effective application techniques but also want to educate them to be precise, quick and practical to gain and maximise their experience and confidence in the industry. Students leave our make up school not only with the qualifications to work in the industry but with enough experience and confidence to work within any Media Production company or solely as freelancers. One major bonus, which will give students a great advantage, is be being part of an environment and atmosphere of a professional working photography studio. Once they step out of the classroom and into the media industry they will have the confidence to work in any situation, as these surroundings are familiar. Our students also have the unique opportunity to frequently assist a professional photographer in the studio environment on model portfolios, corporate shoots, family shoots etc and every scenario that studio environment offers. All our students have the unique opportunity to work in our Global Award Winning Studio every time they do a look on the models. This way they get to learn just how makeup should look and be applied for Media Makeup. Photography makeup is so different to daily makeup. We are a Fashion Photography Studio so the courses we offer are exciting and get our students free flowing creativity at its peak. We are affiliated and supported completely by Kryolan, recognised as one of the highest professional make up brands one could wish for. The Lipstick Make Up Institute’s main aim is to train and guide our students to the highest level to be professional, practical, quick, flexible and precise in their job. A photographer from the UK who has 25 years experience in the industry. She has been managing studios and training staff for most of her career. She also has worked for many magazines in the UK and was the main photographer for Cotswold Style Magazine and The Cheltonian. She started her chosen career at the age of 16 at college whilst studying for her A levels. Her passion and love of the medium took over her love for English and her career began. Photography was now in her blood and she has been grateful to her friends for introducing her to the world of cameras and photography. It is a decision that has taken her life on a path that so far has been an amazing journey with still so much to discover. During her extensive career in media, Yasmin has trained her staff to understand that the two mediums of photography and make up work hand in hand and not only complement each other but for media are a necessity. Understanding the fundamentals of how each one works, results in a perfect combination of achievement. 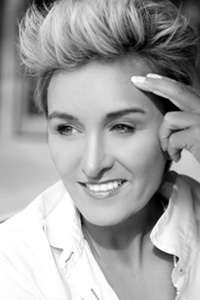 She came to Dubai in September 2012 and opened up a very successful photography studio in Media City. The studio offers the opportunity for the clients to have their hair and make up styled with every photo shoot by professionals and this concept has become extremely popular giving her the opportunity to expand and open up a media/make up school. I was fortunate that I had the chance to have a teacher like Liv who gave me 40 hours of private classes and a photographer like Yasmin who helped me to build my portfolio. They are a team of professionals. They created an atmosphere of comfort to each client and student while maintaining strong communication, positive motivation and continuous support. Make-up is Liv’s passion and it shows when she is teaching her students. Helping us embrace the spirit of innovation and creativity while learning a solid foundation skills. Her goal is to make each person feel self –confident and empowered. Liv’s work is herself expression – she inspires, encourage and bring out the true beauty of the people she is working with. Bringing experiences and influences from many cultures and styles to her work and teaching. Taking the make-up course with Liv was one great experience as she is very pleasant and spontaneous, knowledgeable and experienced. What I liked the most is her willingness to share her experience with me. Liv is very supportive, she makes the things easy to understand and learn. I started a makeup course with Liv and it was amazing, I learnt so much with her and would highly recommend it for anyone who wants to get into the make-up industry. Highly professional and organized learning, the best place for all make-up needs. Had an awesome time with the ladies and the best schooling ever! Livia is such a great artist and inspiration. Will highly recommend to anyone willing to take some makeup classes. You will not waste your money.